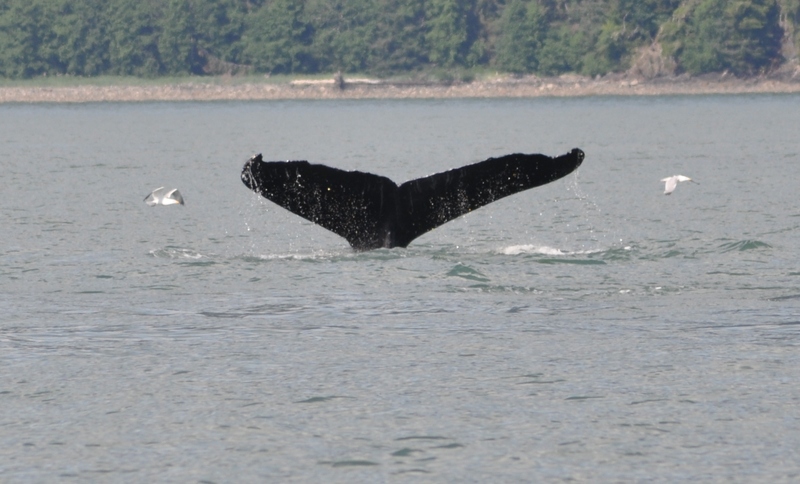 Our Juneau Whale Watching Excursion was quite remarkable. We were in a smaller boat with only 12 or so people and the humpback whales were bubble feeding. One whale would deep dive, and blow bubbles around the fish to group them tighter until they small fish were close to the surface, and all the whales would feed on the school. We saw as many as a dozen whales feeding this way and got as close as 75 yards or so to them. During the excursion we also saw Seals, Eagles, bears and wrapped the tour with a trip to an Alaskan brewery. Join our Cruisers Email list and get Cruise tips and tricks, travel tips and the occasional offer on outstanding cruise deals!